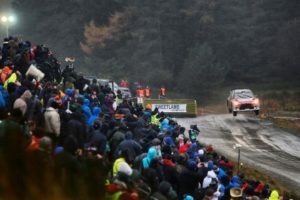 Rain, mud, fog and occasionally, even ice… This is what awaits in the forests of Wales for the penultimate round of the FIA World Rally Championship! But make no mistake, despite this rather gloomy description, Wales Rally GB is a hugely popular event with both drivers and fans alike. 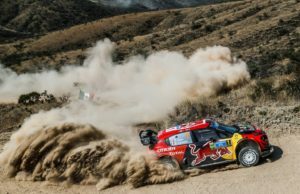 Spectators are more than prepared to brave the poor weather in order to watch and admire their favourite drivers flying at full speed along the gravel roads, famous for their constantly changing levels of grip. 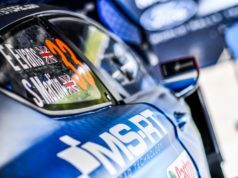 This year’s event promises to be interesting, first and foremost since it will be the first outing of the 2017 World Rally Cars on the slippery and ever-spectacular Welsh gravel. Moreover, the outcome of the world titles may be decided by the end of this twelfth round. His first @OfficialWRC event. The teenage senasation. Based in Deeside, in the north of Wales, the event starts on Thursday evening with the super special stage held on the Tir Prince raceway. The real action will get underway on Friday, with two loops of three classic stages, well known to the drivers. With just a tyre-fitting period at midday, any mistake or mechanical problem is likely to prove very costly. 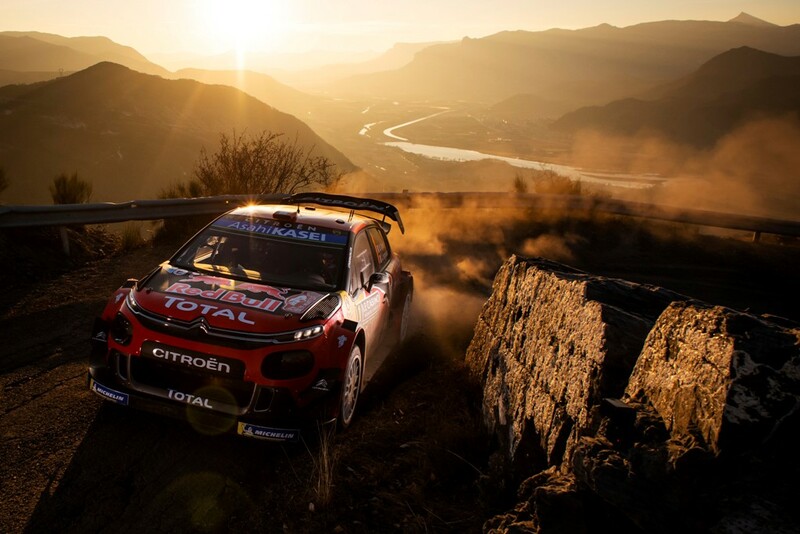 Day two will be even more difficult: a mighty seventeen hours long, featuring seven stages contested without service and then two speed tests held after dark. On Sunday, the last five stages will determine the finishing order of the leading contenders, who will then head for the podium ceremony in Llandudno. Beginning with the ceremonial start at Tir Prince, fans will have several opportunities to see the drivers close up, with the tyre-fitting zone in Newtown (Friday at 1.27pm), regroups in Chester (Friday at 7.01pm), Corris (Saturday at 11.13am) and Brenig (Sunday at 11.28am), as well as the stage held in the grounds of Cholmondeley Castle (Saturday at 3.45pm). 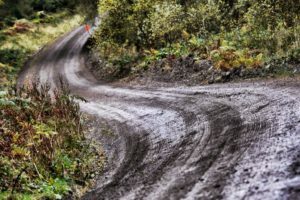 A new spectator stage at Tir Prince near Abergele kicks off the action on Thursday evening before the rally, famous for its unpredictable autumnal weather, gets underway in earnest on Friday morning when the crews head out onto the challenging forest roads. Myherin is up first on Friday, which follows the same layout as in 2016 before switching to a new section of road. 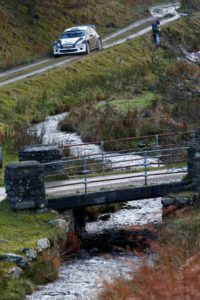 The routes for Sweet Lamb and Hafren are unchanged, and between the two loops of stages, a regroup and tyre and light fitting zone will be held in Newtown. At the end of the day, there will be a short halt in Chester city centre where fans can get close to the stars at an autograph signing session. Leg two includes visits to Aberhirnant, Dyfnant and Dyfi, which will run in the opposite direction to last year, although Gartheiniog will follow the same route. The second running of this latter stage will be screened live on TV. That will be followed by the spectator stage at Cholmondeley Castle held as part of the RallyFest event. Second runs through Aberhirnant and Dyfnant will take place in darkness. 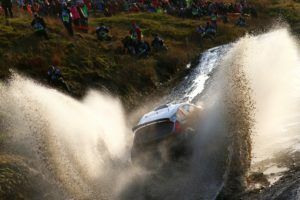 A revised Brenig test is one of three to run on Sunday when it will count as the event-closing Power Stage. Alwen will be a repeat of 2016, with a single visit to Gwydir forest near Betws-y-Coed run to the same route as in 2013. The ceremonial finish will once again take place in Llandudno town centre. 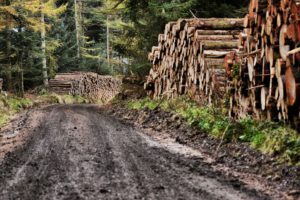 The RAC Rally resumed in 1951 after the Second World War and has taken place every year since except in 1957 and 1967, the latter event being cancelled due to an outbreak of foot and mouth disease. The rally then dropped off the main WRC schedule in 1996 when it counted for FIA 2-Litre championship points only. 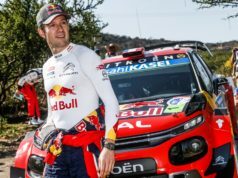 Three drivers have won the event four times including reigning world champion Sébastien Ogier, who has scored four straight victories in the past four years. He can go one better than Hannu Mikkola (1978-1979 and 1981-1982) and Petter Solberg (2002-2005) if he tops the podium again in 2017.